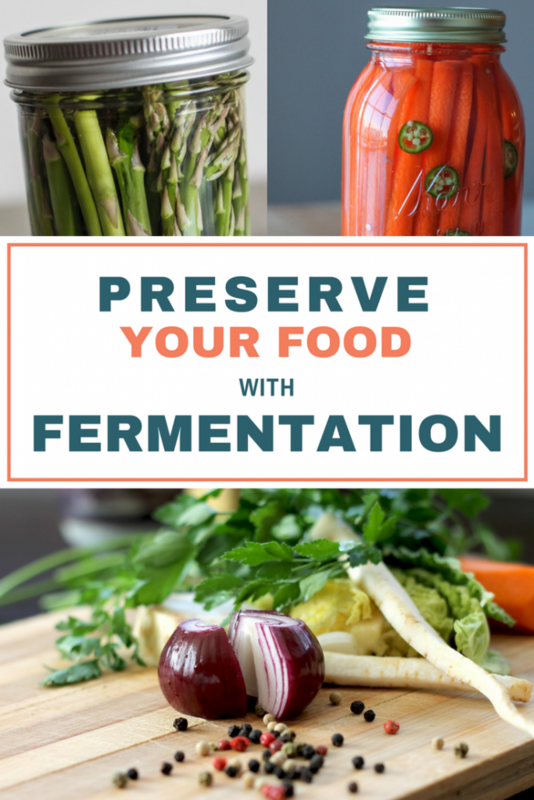 I spend a lot of time talking about two of my favorite benefits of fermentation: taste and health. But the reality is, fermentation became what it is out of a need. The need for a way to make food last long past the harvest. A need to be able to preserve our food. As I count down the days until we leave for vacation, I’ve realized there is no way we are going eat through all of the vegetables and fruits we have in our kitchen. I buy organic carrots in five pound bags because they are a good deal, but it seems we haven’t been eating as many as I thought we would. I also stocked up on fruit so I could experiment with different flavoring ideas for kombucha, but I have a good amount of that left too. I know I can’t be the only one who runs into this problem as they get ready to leave for a vacation or business trip. I refuse to waste food, so I’m taking it into my own hands. For the first time, I am using fermentation for the benefit it was created for: preservation. Instead of scrambling to eat everything or trying to find friends who might take this or that off my hands, I just need to cut everything up and put it into jars (with some salt). It’s as simple as that. I’ll be making several batches of spicy lacto-fermented carrot sticks, a mustardy lacto-fermented asparagus and even experimenting with a small head of red cabbage. As for the fruit, it’s mostly citrus so I’ll be juicing them and bottling with kombucha from my continuous brew system. Fingers crossed for a completely cleaned out refrigerator! But wait, why don’t you just freeze everything? Good question. And to be honest, I first considered using up the vegetables by making a big pot of vegetable soup and freezing that. And then it dawned on me: Alana, you make ferments. Fermentation preserves food. Do that. Duh! It gets a little better though. Fermenting actually increases the overall nutritional value of your food as beneficial bacteria and enzymes are formed during the fermentation process. Cooking and freezing, while definitely an option, can decrease the nutritional value of your food. Research has shown the heat from cooking causes a loss of vitamins and minerals and especially affects vitamin C in foods. Freezing foods puts them in the position to be affected by oxidation which can result in a loss of nutrients. Canning in another popular way to preserve food. The idea is pretty basic, put the food in jars and give them an airtight seal. To be honest, until I took a class on fermentation, I probably thought canning and fermenting were the same thing. Though, I really never gave either method much thought at all. 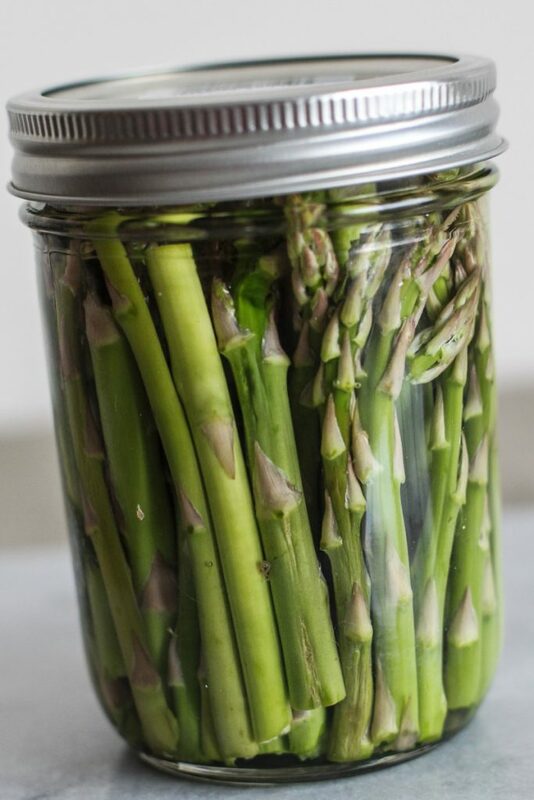 Canning requires you to put the food in jars and then place them in hot water until the lids form an airtight seal. The high temperatures can decrease the nutritional value of your food. Additionally, the process requires a lot of energy. Fermentation, on the other hand, doesn’t require any electricity at all. If you’re concerned with increasing global demands for energy sources, this may be an important factor in how you choose to preserve your food. 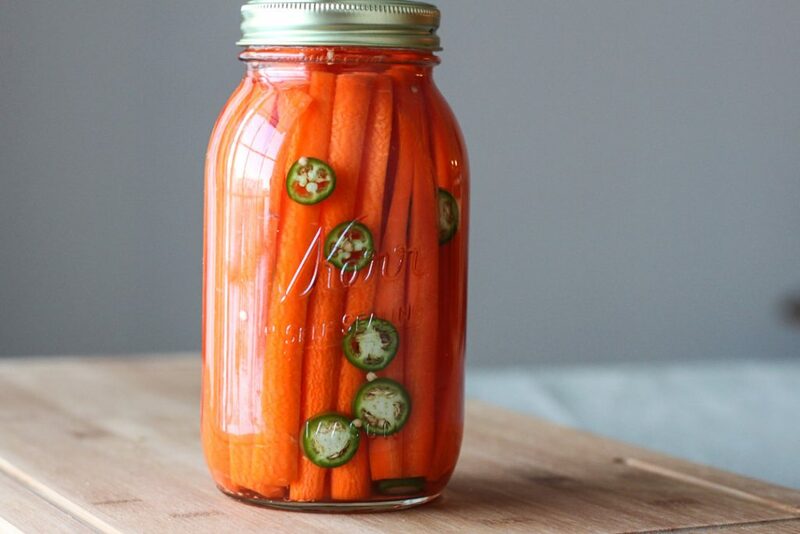 Freezing and canning are certainly both viable options for food preservation. One may be better than the other depending on what type of food you are preserving. The bottom line is it is a way to prevent food waste. However, neither of these options actually have the ability to increase the overall nutritional value of your food as fermenting does. And bonus, fermenting allows your food to develop unique and delicious flavors too. The best part of this is that when we return from vacation in two weeks, we will have vegetables waiting for us! And not just vegetables, but READY-TO-EAT vegetables. Peeled, cut, chopped and TASTY vegetables. All set to grab and eat. Our return flight from Hawaii is a red eye and we have an additional 6 hours of driving after that. So, there is definitely not going to be any grocery shopping happening that day. Having some real food waiting for us is going to be huge in getting us through, until I can make a meal plan and get to the grocery store. 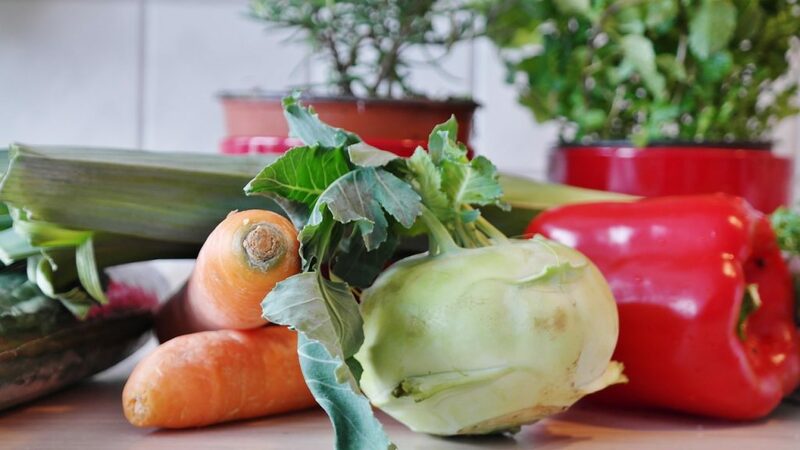 Check out these 25 ways to add fermented food and drinks into your diet this year. And be sure to follow my Fermentation is Fun board on Pinterest for even more inspiration and ideas! One of my goals for this year is to learn a little more about fermentation and start doing my own. I love that I came across this article right now. Looks like you’ve got some great useful info out here to use as a guide for when I get motivated to start! Hi Danielle, Definitely give it a try! It’s actually pretty easy and makes food taste amazing! Feel free to reach out if you have any questions once you get started. We don’t have a fridge or freezer, so preserving has always just been something done out of necessity. However, fermenting is far more delicious and nutritious any day! Glad to know that more and more people are taking advantage of this way of not letting fresh produce go to waste.